Dead of Night - first peek | JAMMSBRO '+g+"
This is the first look at the very curious "Dead of Night", a live adaptation of the horror comic Dylan Dog. The comics are about a supernatural detective, a "nightmare investigator" who comes into the realms of ghosts and demonic beings in his journeys. 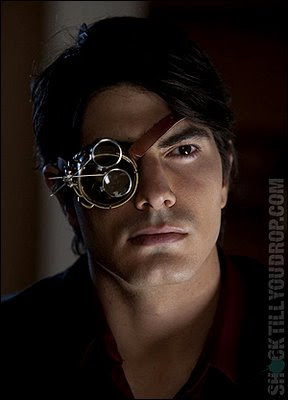 Brandon Routh (last seen debuting in Superman Returns) plays Dog. Hopefully this will be good enough to bolster his CV as i thought he was excellent in Superman.